Supported by JAPAN Fes., local entertainment personalities Kohei and TiA will host Japan Music Junction, a showcase of Japanese singers and music at BentOn Cafe’s FiDi location. 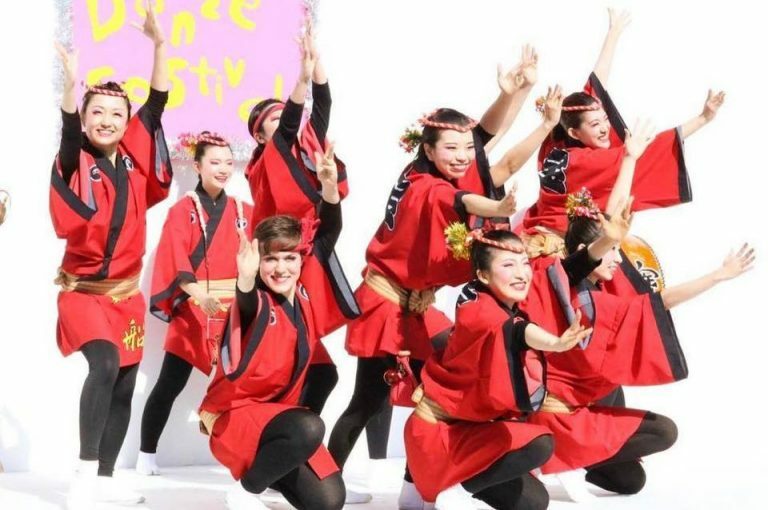 Witness the power and energy of Takarabune, a Japanese musical and dance troupe specializing in the traditional dance known as Awaodori. Watch this YouTube video of Takarabune performing on the main stage at the Japan Expo 2015 in Paris. Also performing are the international dance group DREAMER; Global Entertainer Mack with soprano Manami Aoki and jazz guitarist Nobuki Takamen; singer Kirrie, who was a finalist in the Miss Universe Japan Osaka contest; R&B and HipHop artist Eimi, featuring R-Naby and DJ Kaz Sakuma; and jazz singer Nozomi with Izumikana. Japanese recording artist TiA, best known for her song “Ryuusei,” one of the ending themes of the popular anime Naruto, will co-host with Kohei, a singer from Tokyo who is the official emcee of JAPAN Fes. It’ll be a full evening of entertainment! For more information, please visit Japan Music Junction’s Facebook even page.